The game “Chicken” is a highly anticipated shooting competition. 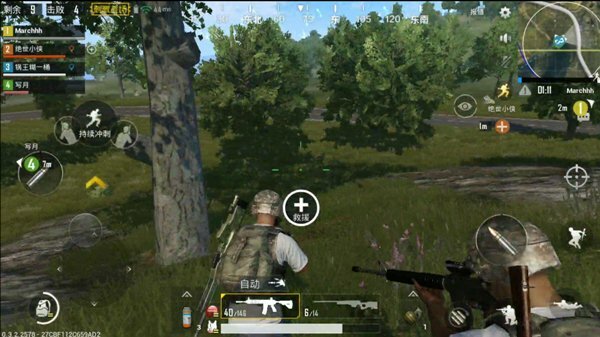 This PUBG genuine mobile game produced by Photon Studio is of the same type. The map is pleasing to the eye and the scenery is unforgettable. It is praised successively. In addition, this game can also be team sports, teammates work together to fight against the enemy. In the multiplayer team competition mode, there is such a mechanism – after the player is knocked down by the enemy or the poisonous circle, the teammate can re-save it. When do you need to seek teammate treatment? When should you decide to give up this idea? Many players know nothing about it, and they will give priority in any case. Considering that teammates will save themselves, the teammate’s life will be taken in, resulting in the game failing. I share with the players of the teams to help the players after landing and help the players to become a conscious master. Players fall to the ground and can be roughly divided into four situations: one is knocked down by other players; the other is that there is no harm in holding the poison ring. One fell down to the ground; the other was the accidental injury to the vehicle being driven by the teammates; the last was the fall from the heights. If the player is knocked down by the enemy and there is a cover around it, then you can consider allowing teammates to treat themselves, provided that the player needs to climb into a safe area, behind the cloak. While gaining teammate treatment, if the enemy is approaching, then you need to pay attention to how long it will take to be saved. 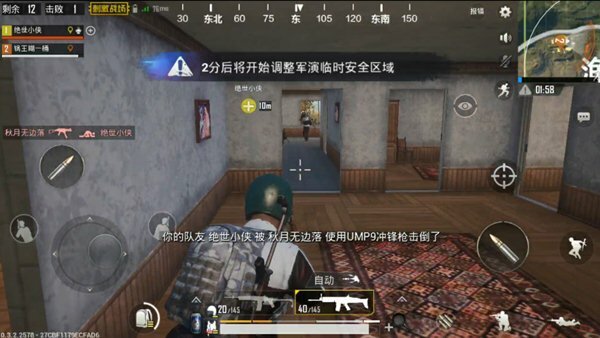 If the time is still long, you will definitely give up treatment and let teammates and nearby enemies kill you; on the contrary, when the enemy comes Before you can stand up again, then do not hesitate to voice to inform teammates to continue treatment, this way, the enemy will face more intense firepower. In the middle of the game, the player fell to the ground due to a botnet injury and his teammates had enough medicine to ensure that the player would not be knocked down by the poison circle twice. Ask teammates for treatment. If possible, the player moves as far as possible into the safety zone, reducing the waste of collective blood. If the player is to fall to the ground and is related to the latter two situations, then it is judged whether or not to ask for help according to the actual situation. Some players have become furious after being mistakenly injured by teammates, and even yelled and broke the harmony of the team. Some players are ashamed to fall to the ground due to their own mistakes and are unwilling to ask for help. Whether you seek the help of teammates, can not be doped with excessive personal emotions, should be a rational judgment. At this moment, the player is in the safe zone. No matter where he falls, if there is no enemy around, he should promptly inform his teammates by voice and then say a thank you to his teammates. This approach can unite one mind and stabilize chickens. Some players think that teammates who give up treatment themselves are a way of losing humanity. This game aims to eat chicken. If it is possible to increase the odds of eating chicken, when necessary, voice inform teammates that there is no need to treat themselves, and Be encouraged to make teammates more confident in defeating the remaining enemies. The player was knocked down by the enemy and was exposed on a flat surface. No objects could be covered. Then he went to rescue teammates. It is tantamount to injuring teammates, but will be displeased and contempt for teammates. The player fell to the ground in the latter three cases, and at this point in the game’s later stages, the 10-second treatment time is likely to be an important factor in the failure of the entire team. During the rescue process, teammates are extremely vulnerable to attack by others and die. 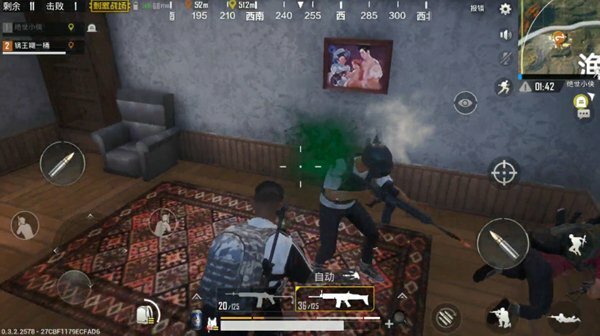 At this moment, the players should have dedication, aim at themselves, attract enemy firepower, expose enemy positions, and help teammates to capture the enemy’s head. Although sometimes the player cannot win the victory personally, it is stable under the guidance of teammates. Eating chicken is also a gratifying thing.